AGED CARE: The government is continuing improve MyAgedCare website services available to seniors and their carers. THE Federal Government has today committed another $2.8 million to fund further development of Australia's aged care gateway, MyAgedCare. 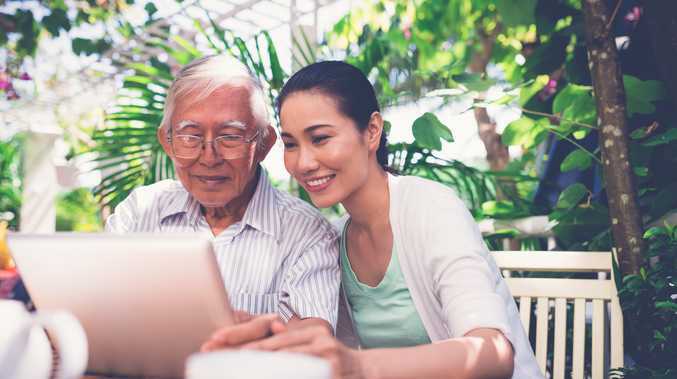 The planned modifications of MyAged Care are aimed at making the website more responsive which will benefit the more than 1.2 million older Australians, their families and representatives who are using the service each year. "The Federal Government is committed to providing older people with streamlined access to quality aged care services," Minister for Aged Care Ken Wyatt's office stated. "My Aged Care is also used by more than 2,000 aged care assessors, 3,500 service providers and thousands of health care professionals. "The government recognises that further MyAgedCare improvements are required to keep pace with the increasing demands of our growing ageing population." Faster and better-integrated connections to providers, for people assessed as in need of care. More efficient processes for health professionals and service providers, aimed at helping to reduce cost pressures. Improved consumer choice, through more online self-service options. Maintaining a stable ICT platform so My Aged Care can continue to service increased demand. The government has already commitment $20 million to MyAgedCare as it tries to speed up aged care assessments and respond to consumer and sector feedback.